Get your Hamilton Beach PrimePour Cocktails-On-Tap cocktail dispenser up and running in no time with this TRK2000 regulator kit! This kit comes with a reliable dual gauge regulator so that you can easily monitor the pressure being supplied to the dispenser, as well as how much CO2 you have left in your tank. 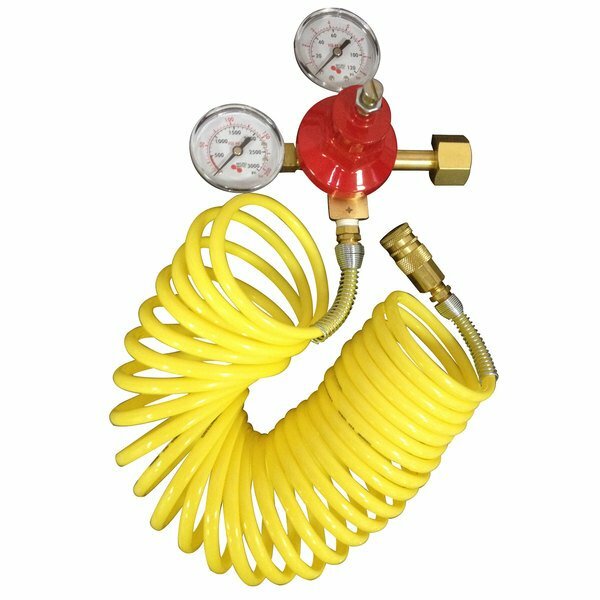 It also includes an 18' retractable nylon air hose to connect the regulator to your machine.